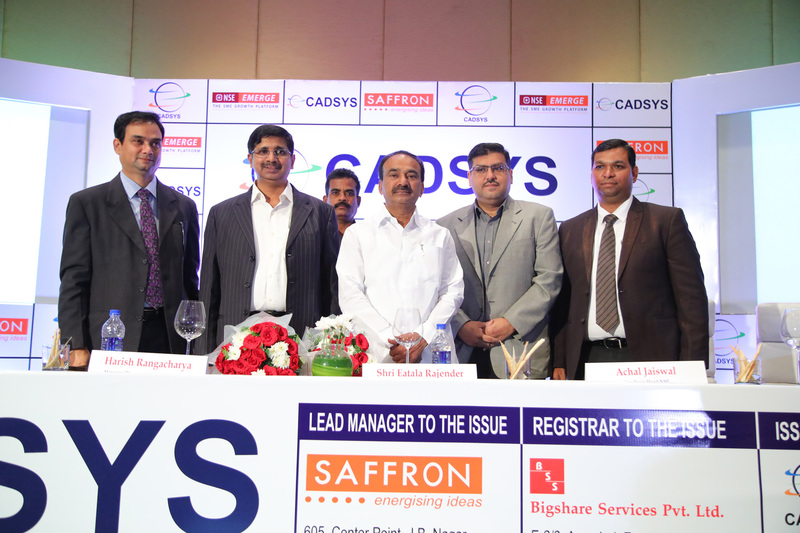 Cadsys (India) Limited has successfully completed its Initial Public Offer and is listed on National Stock Exchange EMERGE. On October 4th, 2017, the Company hosted its Listing Ceremony marking trading of the shares on the NSE EMERGE platform. Honourable Minister of Finance, Government of Telangana Shri Eatla Rajender graced the event as the Chief Guest, National Stock Exchange Southern region head Mr Achal Jaiswal, promoter of Saffron Capital Advisors Pvt Ltd Mr. Srinivas joined the event and shared the joyous moment with the Company’s management.